Habitat: Africa, Australia (NT), Philippines, India, China, Pakistan, Sri Lanka, Indonesia, Malaysia, Cambodia, Laos, Thailand, Vietnam (Hawaii, Fiji, Central Americas). Reports from Tanzania about a subspecies with yellow flowers. 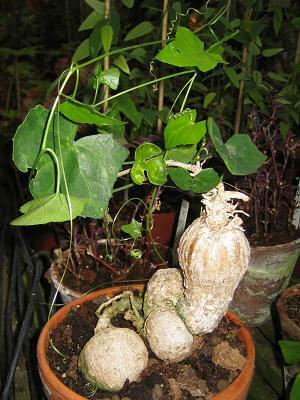 Caudex of wild plants in Sri Lanka. Male flower. Photo by: Soumen Aditya. Photo by: Soumen Aditya. 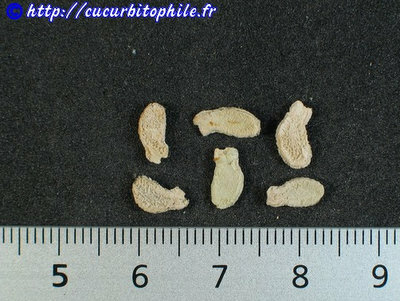 This member of the Cucurbitaceae family was given this name by Johann Otto Voigt in 1845. It is indigenous to quite some countries around Equator, and have, more or less, been spread to the rest. It is not picky regarding soil, and will get bye with average water and all from little to full sun. 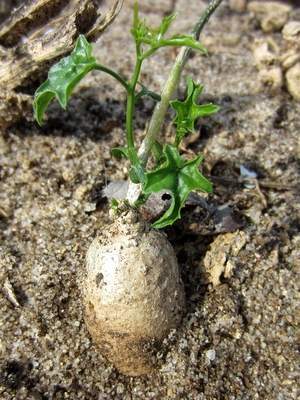 The caudex can grow to twelve centimetres or more, the vines grow up to three meters or even 20 metres. It is dioecious (either male- or female plant), with both sexes having white flowers around four centimetres. 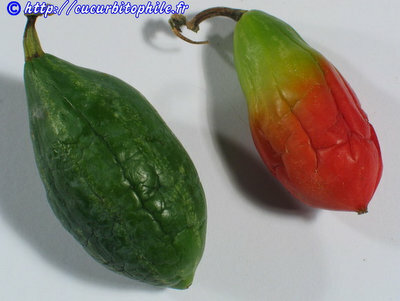 The fruits are smooth, scarlet and from three to six centimetres long. Grown in Asia and Philippines for it's leaves and fruits which are used in cooking. In some parts of the world, it is considered highly invasive. Reports from Tanzania about a subspecies with yellow flowers. Young wild plant in Sri Lanka.